What is Diaspore or diasporite? 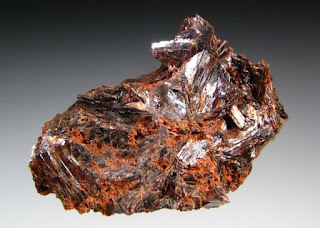 Diaspore, also known as diasporite, empholite, kayserite, or tanatarite, is an aluminium oxide hydroxide mineral, α-AlO(OH), crystallising in the orthorhombic system and isomorphous with goethite. It occurs sometimes as flattened crystals, but usually as lamellar or scaly masses, the flattened surface being a direction of perfect cleavage on which the luster is markedly pearly in character. It is colourless or greyish-white, yellowish, sometimes violet in colour, and varies from translucent to transparent. It may be readily distinguished from other colourless transparent minerals with a perfect cleavage and pearly luster like mica, talc, brucite, and gypsum by its greater hardness of 6.5 - 7. The specific gravity is 3.4. When heated before the blowpipe it decrepitates violently, breaking up into white pearly scales. The mineral occurs as an alteration product of corundum or emery and is found in granular limestone and other crystalline rocks. Well-developed crystals are found in the emery deposits of the Urals and at Chester, Massachusetts, and in kaolin at Schemnitz in Hungary. If obtainable in large quantity, it would be of economic importance as a source of aluminium. Diaspore, along with gibbsite and boehmite, is a major component of the aluminium ore bauxite. It was first described in 1801 for an occurrence in Mramorsk Zavod, Sverdlovskaya Oblast, Middle Urals, Russia. The name, which was coined by René Just Haüy, is from the Greek for διασπείρειν, to scatter, in allusion to its decrepitation on heating. Csarite, ottomanite, and zultanite are trade names for gem-quality diaspore (also known as Turkish diaspore) from the İlbir Mountains of southwest Turkey. Diaspore as a mineral has been around since its discovery as a species in 1801, but it wasn't until the 1970's that this mineral was first faceted for gemstone use. From the 1970's through 2005 occasional gems were cut from Diaspore for collectors, but in 2006 this mineral started being mined specifically for gemstone use. Though Diaspore is found in several localities throughout the world, the only source of gemstone material is in a Bauxite deposit in the Anatolian Mountains of central Turkey. Originally exploited for its economic importance for the extraction of aluminium, this deposit is now solely mined for the production of this gemstone. Diaspore is beautiful and exotic in a soft, subtle manner. 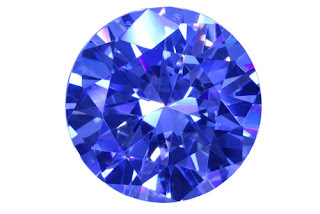 It is also one of the lesser known of the colour-change gemstones. Some of the finest examples of gem quality diaspore are found in Turkey's Anatolian Mountains, but it can be found in numerous places around the globe. A rising star in fine jewellery, it's easy to fall in love with its sparklingly brilliant, tranquil earthy colours. Diamond, the most famed and fabled of all gemstones, is very unique in many ways. Renowned for being the hardest substance on earth, its sparkling fire, durability, and rarity make Diamond the most prize of all gems. 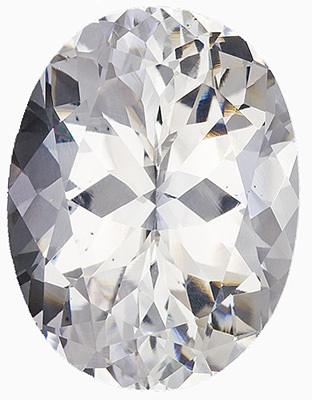 No gemstone contains as much allure and interest as does Diamond. Most Diamonds used as gemstones are colourless or very faintly coloured. 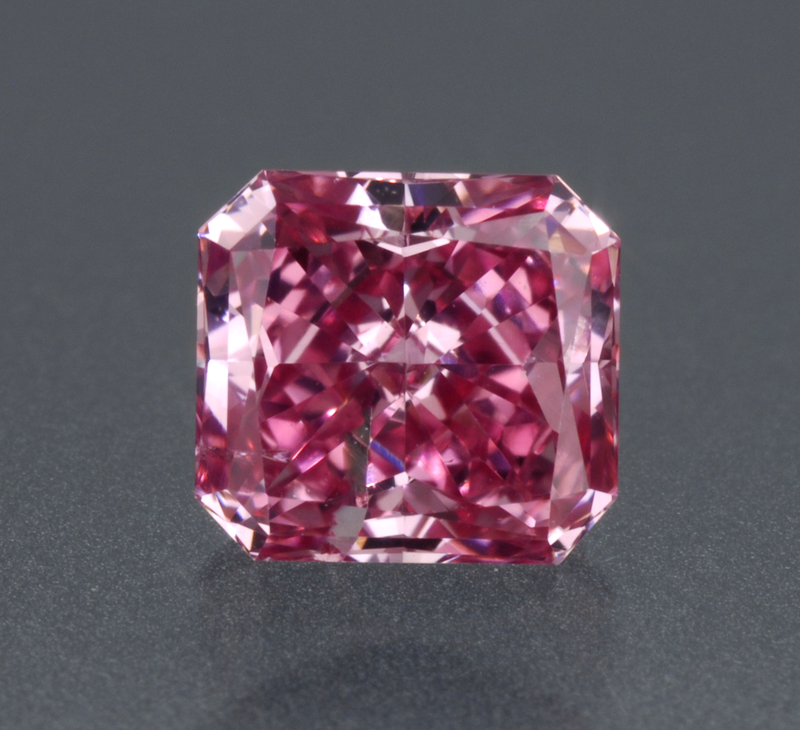 However, coloured Diamonds, known as "fancies", can be extremely rare and valuable, and the most valuable gemstones ever known have been fancy Diamonds. In fact, fancy Diamonds are the most valuable substances known to man, with vivid coloured Diamonds historically being sold for more than a million dollars per carat! 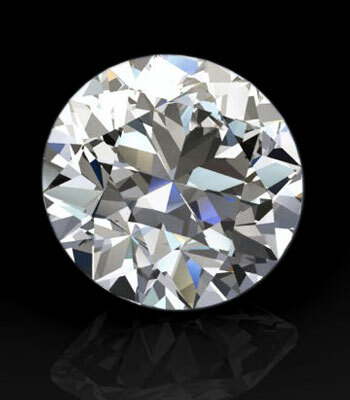 A diamond is one of the best-known and most sought-after gemstones. Diamonds have been known to mankind and used as decorative items since ancient times; some of the earliest references can be traced to India. The hardness of diamond and its high dispersion of light giving the diamond its characteristic "fire" make it useful for industrial applications and desirable as jewellery. Diamonds are such a highly traded commodity that multiple organisations have been created for grading and certifying them based on the four Cs, which are colour, cut, clarity, and carat. Other characteristics, such as presence or lack of fluorescence, also affect the desirability and thus the value of a diamond used for jewellery. The most famous use of the diamond in jewellery is in engagement rings. The practice is documented among European aristocracy as early as the 15th century, though ruby and sapphire were more desirable gemstones. The modern popularity of diamonds was largely created by De Beers Consolidated Mines Ltd., which established the first large-scale diamonds mines in South Africa. Through an advertising campaign beginning in the 1930s and continuing into the mid-20th century, De Beers made diamonds into a key part of the betrothal process and a coveted symbol of status. The diamond's high value has been the driving force behind dictators and revolutionary entities, especially in Africa, using slave and child labour to mine blood diamonds to fund conflicts. Though popularly believed to derive its value from its rarity, gem-quality diamonds are quite common compared to rare gemstones such as Alexandrite, and annual global rough diamond production is estimated to be about 130 million carats (26 tonnes). The value of diamonds is attributed largely to the industry's tight control over this supply. The most familiar usage of loose diamonds today is as gemstones used for adornment, a usage which dates back into antiquity. 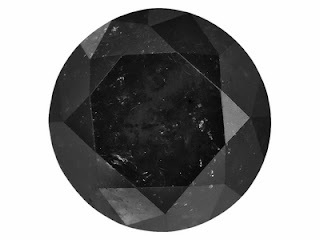 The dispersion of white light into spectral colours is the primary gemological characteristic of gem diamonds. In the twentieth century, gemologists have developed methods of grading diamonds and other gemstones based on the characteristics most important to their value as a gem. Four characteristics known informally as the four Cs are now commonly used as the basic descriptors of loose diamonds: carat, cut, colour, and clarity. This system was developed by Gemological Institute of America in 1953 as internationally recognised standard to evaluate diamonds characteristics. Most gem diamonds are traded on the wholesale market based on single values for each of the four Cs; for example knowing that a diamond is rated as 1.5 carats (300 mg), VS2 clarity, F colour, excellent cut round brilliant, is enough to reasonably establish an expected price range. More detailed information from within each characteristic is used to determine actual market value for individual stones. Consumers who purchase individual diamonds are often advised to use the four Cs to pick the diamond that is "right" for them. Other characteristics also influence the value and appearance of a gem diamond. These include physical characteristics such as the presence of fluorescence as well as the diamond's source and which gemological institute evaluated the diamond. Cleanliness also dramatically affects a diamond's beauty. Cleavage 1, all sides - octahedral. Dodecahedral Diamonds and Borts exhibit poor cleavage or no cleavage at all. Danburite is one of the least known of the colourless gems, though it makes a very good jewellery stone. 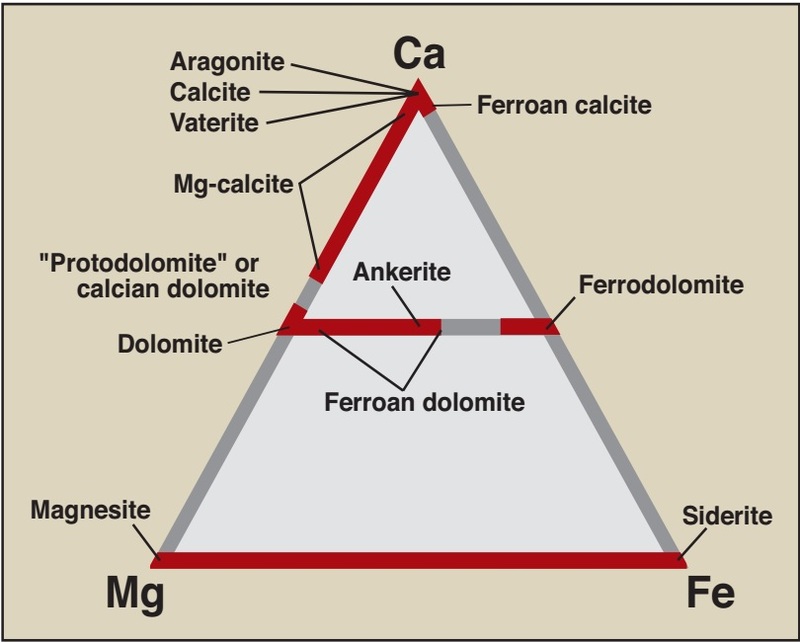 It is a calcium aluminium borate silicate by chemical composition and is quite a hard material, with a rating of 7 on the Mohs scale. Since it has a moderately high refractive index (about the same as tourmaline) danburite can can be faceted with good results. Danburite is primarily a collectors gemstone. 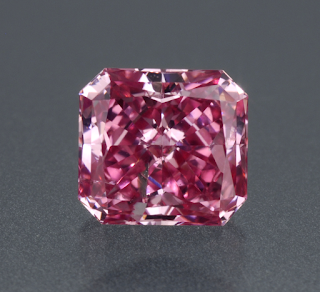 It is usually colourless; yellow and light pink gems are seldom cut. Danburite is named after the city of Danbury, Connecticut, where this mineral was first described, though no gem grade material has come from Danbury. Danburite has good hardness and facets well, but its lack of fire in colourless stones limits its use as a mainstream gemstone. In 1839 American mineralogist Charles Upham Shephard discovered a clear, bright, colourless gemstone in Danbury, Connecticut, and named it danburite after the location. Unfortunately for danburite, it was discovered at a time when coloured gemstones were heavily promoted and highly desired. This colourless find, therefore, didn't create much excitement at that time. 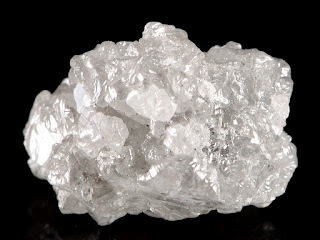 Danburite, which belongs to a class of minerals known as silicates, remained relatively unknown for years, but is steadily growing in popularity today. Precious coral or red coral is the common name given to Corallium rubrum and several related species of marine coral. The distinguishing characteristic of precious corals is their durable and intensely coloured red or pink skeleton, which is used for making jewellery. Coral is not a mined stone or mineral, but an organic gemstone. It is the hardened, skeleton-shaped result of secretions continuously deposited by marine polyps. It looks like a colourful underwater plant, but it is actually a priceless gift from the sea. Coral is found in clear at between 15 and 160 feet. The greater the depth, the lighter the coral's colour. Coral reefs are found in almost all of the world's oceans. The biggest is the Great Barrier Reef, off the coast of Queensland, Australia. 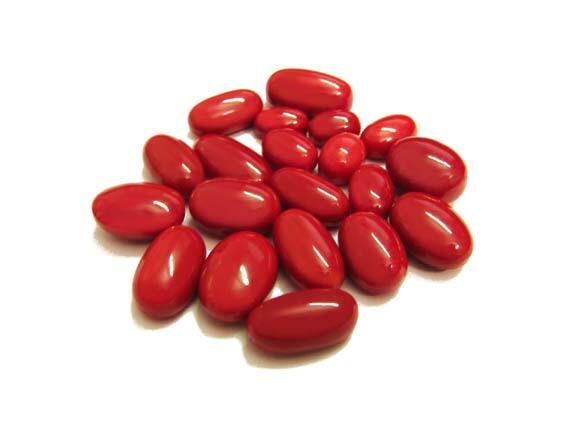 Italian red coral is in the highest demand In the jewellery industry and is considered the finest quality. The finest specimens come from Sardinia (Italy) and Tunisia. Coral from Japan and China is considered slightly inferior in quality, but it is more expensive than Italian red, because it is less abundant. Coral is also found off the coast of Washington State (U.S.A) and the Aleutian Islands off of Alaska. Unlike most other gemstones which are of mineral origin, Coral is organic, formed by living organisms. It forms from branching, antler-like structures created from coral polyps in tropical and subtropical ocean waters. When the coral polyps die, the hardened skeleton remains, and this material is what is used as a gemstone. Most coral is white, but nature can create coral in several other colours, including the popular orange to red forms. This Red Coral, or Precious Coral as it is often known by, is the most used gemstone form of Coral. In fact, the colour known as coral is derived from the typical pinkish-orange colour of many red Coral gemstones. The hard skeleton of red coral branches is naturally matte, but can be polished to a glassy shine. It exhibits a range of warm reddish pink colours from pale pink to deep red; the word coral is also used to name such colours. Owing to its intense and permanent coloration and glossiness, precious coral skeletons have been harvested since antiquity for decorative use. Coral jewellery has been found in ancient Egyptian and prehistoric European burials, and continues to be made to the present day. It was especially popular during the Victorian age. Precious coral has relative density of 3.86 and hardness 3.5 on the Mohs scale. Due to its softness and opacity, coral is usually cut en cabochon, or used to make beads. Coral is typically worn in pieces that weigh at least three carats. A ring or pendant can hold a piece weighing up to twelve carats. Red coral may be set in gold or silver. Copper is a chemical element with symbol Cu (from Latin: cuprum) and atomic number 29. It is a soft, malleable and ductile metal with very high thermal and electrical conductivity. 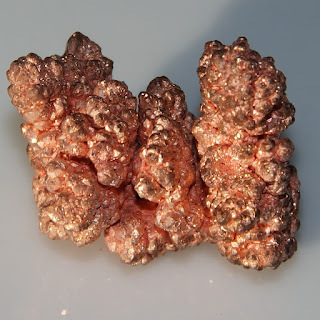 A freshly exposed surface of pure copper has a reddish-orange colour. It is used as a conductor of heat and electricity, as a building material and as a constituent of various metal alloys, such as sterling silver used in jewellery, cupronickel used to make marine hardware and coins and constantan used in strain gauges and thermocouples for temperature measurement. Copper is found as a pure metal in nature, and this was the first source of the metal to be used by humans, c. 8000 BC. It was the first metal to be smelted from its ore, c. 5000 BC, the first metal to be cast into a shape in a mold, c. 4000 BC and the first metal to be purposefully alloyed with another metal, tin, to create bronze, c. 3,500 BC. 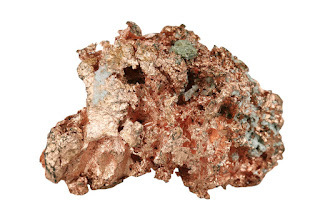 In the Roman era, copper was principally mined on Cyprus, the origin of the name of the metal, from aes сyprium (metal of Cyprus), later corrupted to сuprum, from which the words copper (English), cuivre (French), Koper (Dutch) and Kupfer (German) are all derived. The commonly encountered compounds are copper(II) salts, which often impart blue or green colours to such minerals as azurite, malachite, and turquoise, and have been used widely and historically as pigments. Architectural structures built with copper (usually roofing elements) corrode to give green verdigris (or patina). Decorative art prominently features copper, both in the elemental metal and in compounds as pigments. Copper compounds are also used as bacteriostatic agents, fungicides, and wood preservatives. Copper is essential to all living organisms as a trace dietary mineral because it is a key constituent of the respiratory enzyme complex cytochrome c oxidase. In molluscs and crustaceans copper is a constituent of the blood pigment hemocyanin, replaced by the iron-complex haemoglobin in fish and other vertebrates. In humans, copper is found mainly in the liver, muscle, and bone. The adult body contains between 1.4 and 2.1 mg of copper per kilogram of body weight. Hence a healthy human weighing 60 kilogram contains approximately 0.1 g of copper. However, this small amount is essential to the overall human well-being. Copper, silver and gold are in group 11 of the periodic table, and they share certain attributes: they have one s-orbital electron on top of a filled d-electron shell and are characterised by high ductility and electrical and thermal conductivity. The filled d-shells in these elements contribute little to interatomic interactions, which are dominated by the s-electrons through metallic bonds. Unlike metals with incomplete d-shells, metallic bonds in copper are lacking a covalent character and are relatively weak. This observation explains the low hardness and high ductility of single crystals of copper. At the macroscopic scale, introduction of extended defects to the crystal lattice, such as grain boundaries, hinders flow of the material under applied stress, thereby increasing its hardness. For this reason, copper is usually supplied in a fine-grained polycrystalline form, which has greater strength than monocrystalline forms. The softness of copper partly explains its high electrical conductivity (59.6×106 S/m) and high thermal conductivity, the second highest (second only to silver) among pure metals at room temperature. This is because the resistivity to electron transport in metals at room temperature originates primarily from scattering of electrons on thermal vibrations of the lattice, which are relatively weak in a soft metal. The maximum permissible current density of copper in open air is approximately 3.1×106 A/m2 of cross-sectional area, above which it begins to heat excessively. Copper is one of four metallic elements with a natural colour other than gray or silver, the others being caesium (yellow), gold (yellow), and osmium (bluish). Pure copper is orange-red and acquires a reddish tarnish when exposed to air. The characteristic colour of copper results from the electronic transitions between the filled 3d and half-empty 4s atomic shells – the energy difference between these shells corresponds to orange light. The same mechanism causes the yellow colour of gold and caesium. Copper does not react with water but it does slowly react with atmospheric oxygen to form a layer of brown-black copper oxide which, unlike the rust that forms on iron in moist air, protects the underlying metal from further corrosion (passivation). A green layer of verdigris (copper carbonate) can often be seen on old copper structures, such as the roofing of many older buildings and the Statue of Liberty. Copper tarnishes when exposed to some sulphur compounds, with which it reacts to form various copper sulphides. 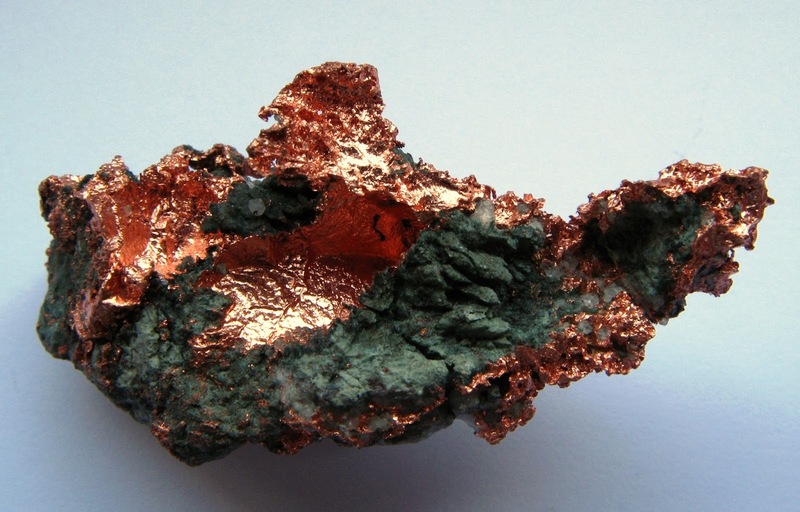 There are 29 isotopes of copper. 63Cu and 65Cu are stable, with 63Cu comprising approximately 69% of naturally occurring copper; both have a spin of 3⁄2. The other isotopes are radioactive, with the most stable being 67Cu with a half-life of 61.83 hours.Seven metastable isotopes have been characterised; 68Cu is the longest-lived with a half-life of 3.8 minutes. Isotopes with a mass number above 64 decay by β−, whereas those with a mass number below 64 decay by β+. 64Cu, which has a half-life of 12.7 hours, decays both ways. Copper is produced in massive stars and is present in the Earth's crust in a proportion of about 50 parts per million (ppm). It occurs as native copper, in the copper sulphides chalcopyrite and chalcocite, in the copper carbonates azurite and malachite, and in the copper(I) oxide mineral cuprite. The largest mass of elemental copper discovered weighed 420 tonnes and was found in 1857 on the Keweenaw Peninsula in Michigan, US. 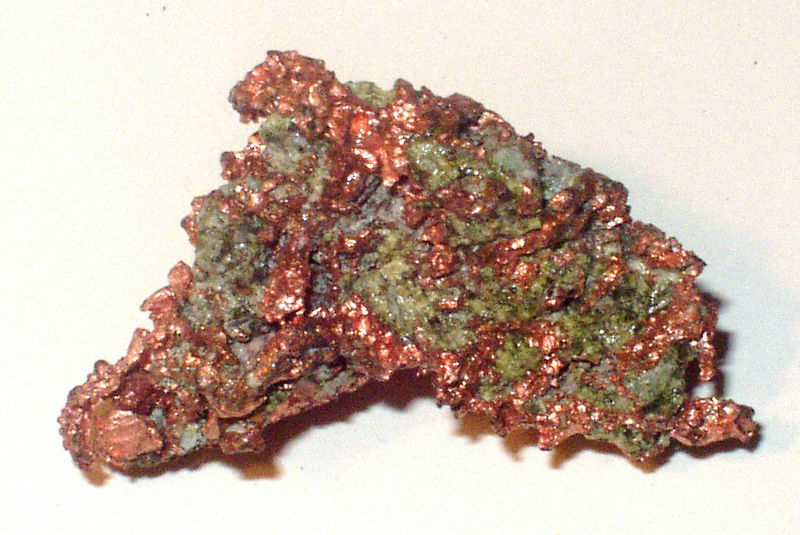 Native copper is a polycrystal, with the largest single crystal ever described measuring 4.4×3.2×3.2 cm. 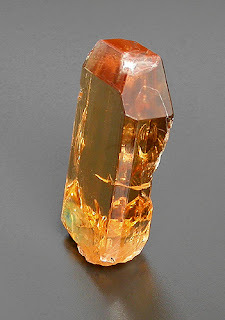 Citrine is the yellow to orange variety of Quartz. 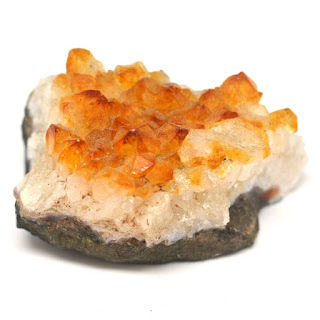 Natural Citrine is not common; most Citrine on the gem market is produced by heat treating Amethyst and Smoky Quartz. It takes a relatively low temperature to change the colour light to golden yellow, and heating to higher temperatures will give the stone a darker yellow to brownish-red colour. The name Citrine is derived from the citron fruit, a yellow fruit similar to the lemon. (In fact, citron means "lemon" in several languages). 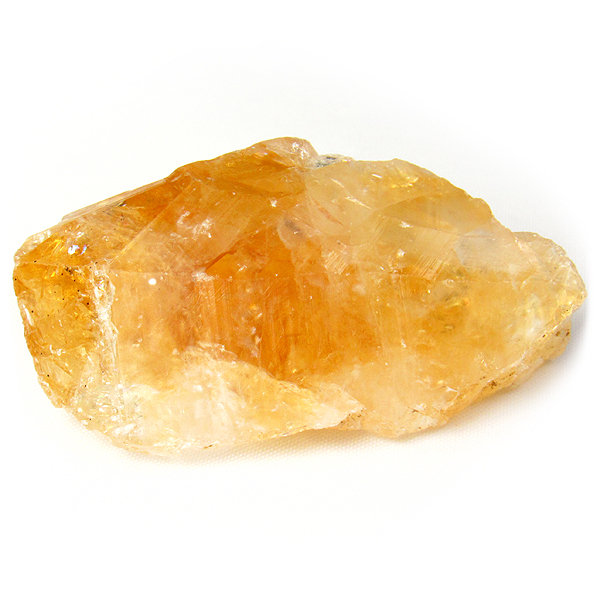 Citrine is sometimes very pale or almost colourless. Among deeper coloured stones may be seen wine-yellow, honey-yellow, and saffron-yellow specimens, while others have quite a pronounced brown tinge. Stones of a deep brownish-yellow colour are very similar to topaz, and those of a fine golden-yellow are quite equal in beauty to yellow topaz and can scarcely be distinguished on mere inspection from latter stone except by an expert. Natural citrines are rare. Most commercial citrine is heat-treated amethyst or smoky quartz. Because the colour is now caused by finely distributed iron minerals (mostly hematite and goethite), heated amethyst is not a citrine in the strict sense. Quartz coloured by inclusions of any kind is not called a citrine. Citrine is a transparent, yellow variety of Quartz, ranging in colour from pale to golden yellow, honey or almost brown, and may contain rainbow or sparkle inclusions. The name comes from the French word citron, meaning lemon. 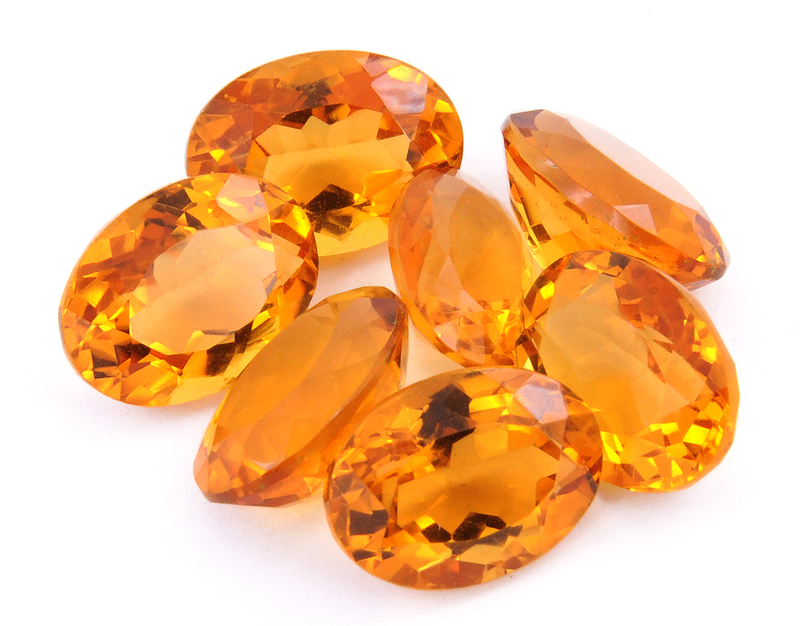 It was used as a gem in Greece as far back as 300 B.C., and because of its colour, is sometimes mistakenly referred to as Gold Topaz, Madeira or Spanish Topaz, or Safranite. Much of the commercial Citrine on the market is heat-treated Amethyst or Smoky Quartz that produces an enhanced Citrine colour, usually a deeper amber or orange-reddish shade. 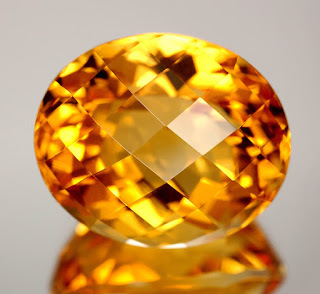 Most Natural Citrine is a pale yellow colour. 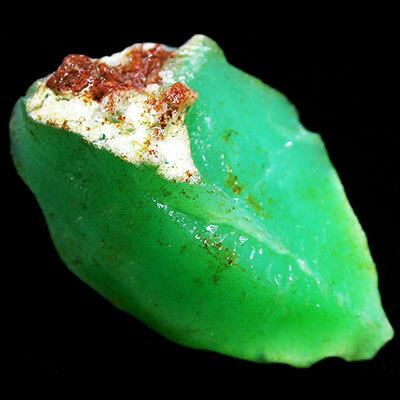 Chrysoprase is the green variety of Chalcedony. Its colour ranges from a light, minty-green to a deep apple-green. The unique, rich colour of Chrysoprase is caused by impurities of nickel, as this gemstone most frequently originates in nickel-rich Serpentine deposits. Chrysoprase is cryptocrystalline, which means that it is composed of crystals so fine that they cannot be seen as distinct particles under normal magnification. This sets it apart from rock crystal, amethyst, citrine, and the other varieties of crystalline quartz. Other members of the cryptocrystalline silica family include agate, carnelian, and onyx. 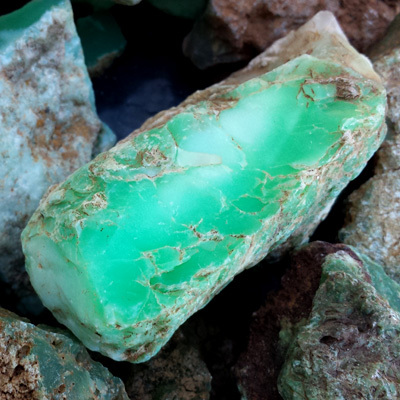 Unlike many non-transparent silica minerals, it is the colour of chrysoprase, rather than any pattern of markings, that makes it desirable. The word chrysoprase comes from the Greek χρυσός chrysos meaning 'gold' and πράσινον prasinon, meaning 'green'. 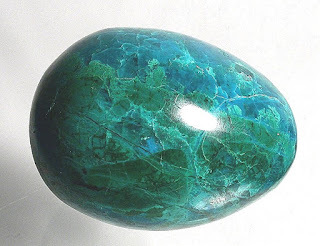 Unlike emerald which owes its green colour to the presence of chromium, the colour of chrysoprase is due to trace amounts of nickel compounds in the form of very small inclusions. The nickel reportedly occurs as different silicates, like kerolite or pimelite (not NiO mineral, bunsenite, as was reported before). Chrysoprase results from the deep weathering or lateritization of nickeliferous serpentinites or other ultramafic ophiolite rocks. In the Australian deposits, chrysoprase occurs as veins and nodules with brown goethite and other iron oxides in the magnesite-rich saprolite below an iron and silica cap. 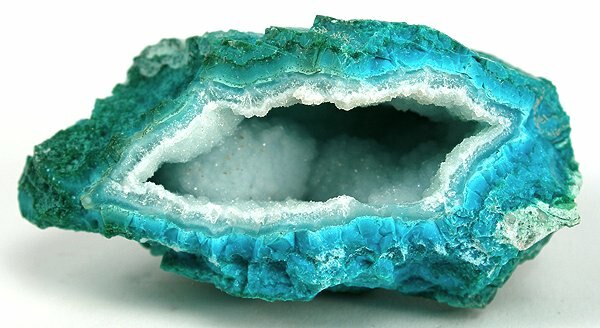 As with all forms of chalcedony, chrysoprase has a hardness of 6–7 on the Mohs hardness scale and a conchoidal fracture like flint. 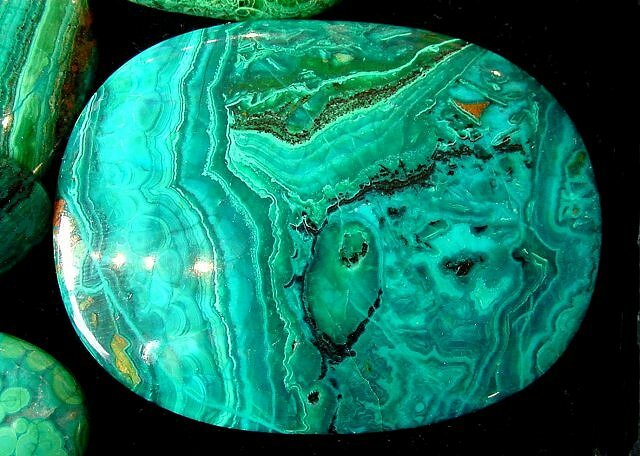 The best known sources of chrysoprase are Queensland, Western Australia, Germany, Poland, Russia, Arizona, California, and Brazil. The chrysoprase and Ni silicate ore deposit in Szklary, Lower Silesia, Poland, was probably the biggest European chrysoprase occurrence and possibly also the biggest in the world. A very similar mineral to chrysoprase is chrome chalcedony, in which the colour is provided by chromium rather than nickel. 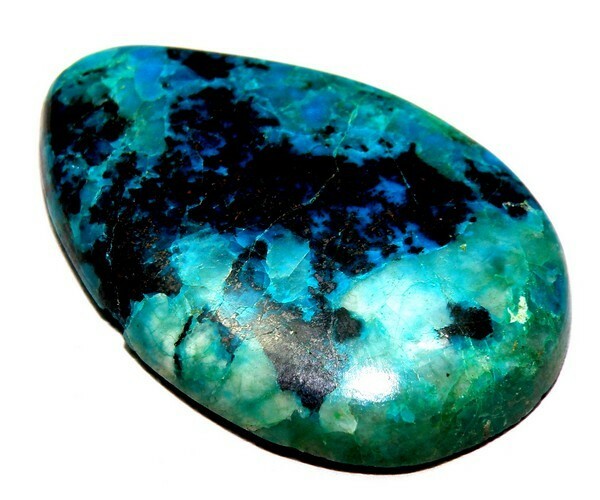 Chrysocolla is a gemstone with a beautiful sky blue to bluish-green colour. Copper in its chemical structure is responsible for the bright attractive colour. It is often multicoloured with inclusions or veining of black and brown matrix material. Chrysocolla's lack of widespread gem use is due to its low hardness and lack of durability. It is sometimes coated or admixed with harder Quartz, and these harder, more solid forms are better fit for gemstone use. The name comes from the Ancient Greek, "gold glue", in allusion to the name of the material used to solder gold, and was first used by Theophrastus in 315 BCE. It is of secondary origin and forms in the oxidation zones of copper ore bodies. Associated minerals are quartz, limonite, azurite, malachite, cuprite, and other secondary copper minerals. It is typically found as botryoidal or rounded masses and crusts, or vein fillings. Because of its light colour, it is sometimes confused with turquoise. 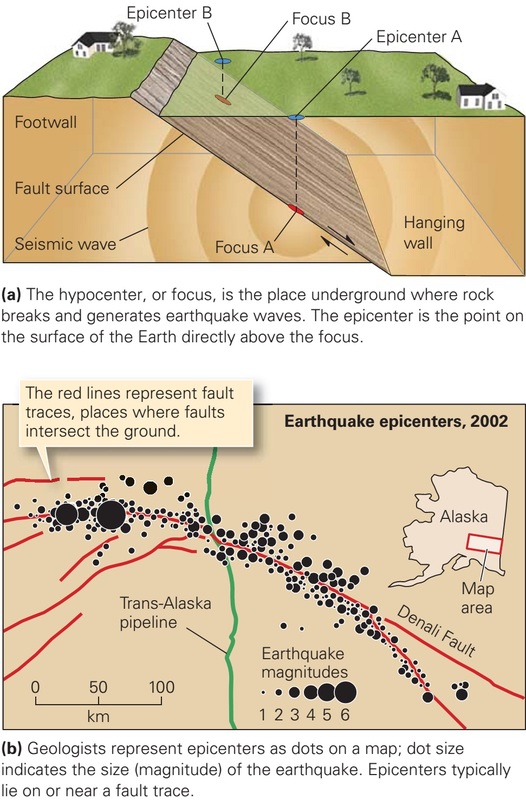 Notable occurrences include Bacan Island Indonesia, Israel, Democratic Republic of Congo, Chile, Cornwall in England, and Arizona, Utah, Idaho, New Mexico, Michigan, and Pennsylvania in the United States. Chrysoberyl is a hard, tough, and durable gem. Although lacking the fire of other gemstones, Chrysoberyl in its various forms can be quite valuable. 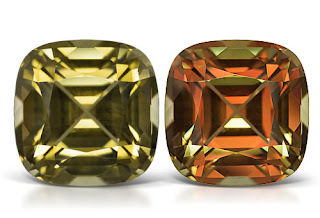 Most Chrysoberyl gems are yellow, though some are brown, green, or orange. 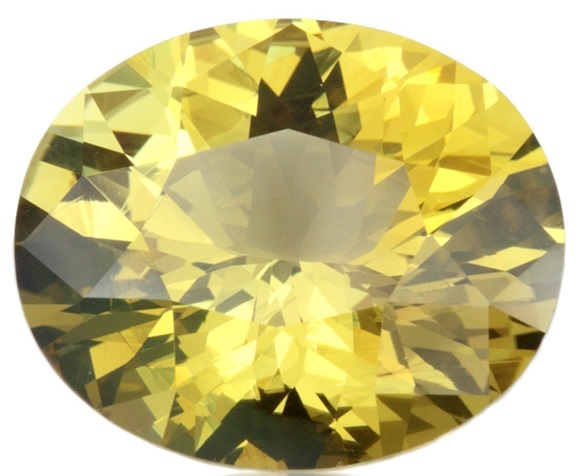 Chrysoberyl is best known for its important varieties Alexandrite and Cat's Eye. Alexandrite is a rare and expensive form that exhibits different colours in natural and artificial light. Cat's Eye is Chrysoberyl that is polished into a cabochon and highly chatoyant, displaying a sharp line of light through the centre of the stone. 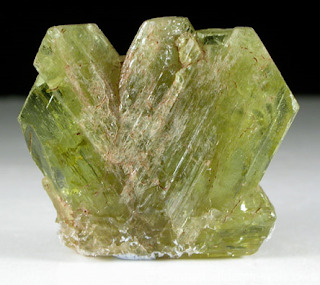 Chrysoberyl is a beryllium-aluminium oxide mineral with a chemical composition of BeAl2O4. It is distinctly different from the beryllium-aluminium silicate (Be3Al2(SiO3)6 mineral known as "beryl," although the similar names can cause confusion. Chrysoberyl is not found in deposits that are large enough to allow it to be used as an ore of beryllium. Its only important use is as a gemstone; however, it excels in that use because of its very high hardness and its special properties of chatoyance and colour change. Chrysoberyl is best known for its use as a gem. There are multiple varieties of gem chrysoberyl, each with its own name and unique physical properties. Ordinary chrysoberyl is a yellow to yellow-green to green gemstone with a translucent to transparent diaphaneity. Transparent specimens are usually cut into faceted stones. 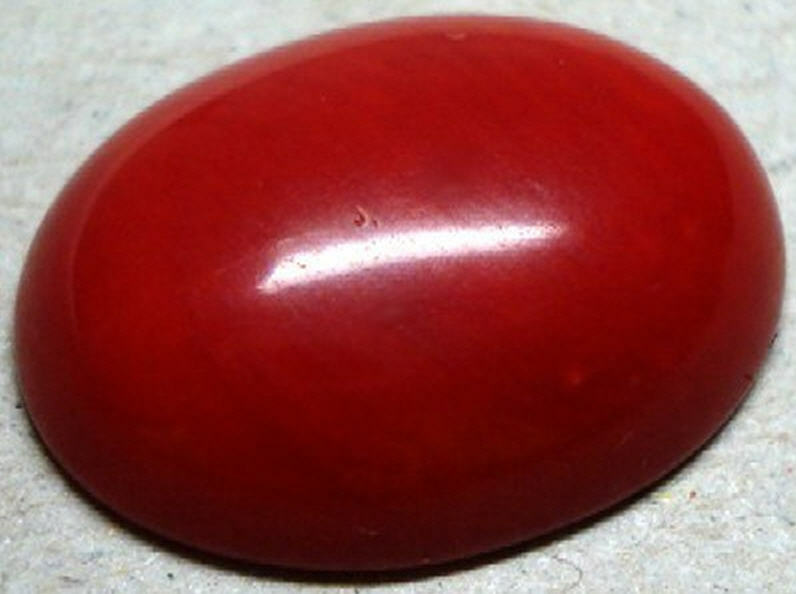 Specimens that are translucent or with silk are usually cut into cabochons. One of the most distinctive properties of chrysoberyl is its exceptional hardness. With a Mohs hardness of 8.5, it is the third-hardest gemstone and the third-hardest mineral that is even occasionally found at Earth's surface. Although chrysoberyl is extremely hard, it does break with distinct cleavage in one direction and indistinctly or poorly in two others. It also has a brittle tenacity. Most specimens of chrysoberyl are nearly colourless or fall into the brown to yellow to green colour range. Red specimens are occasionally found. 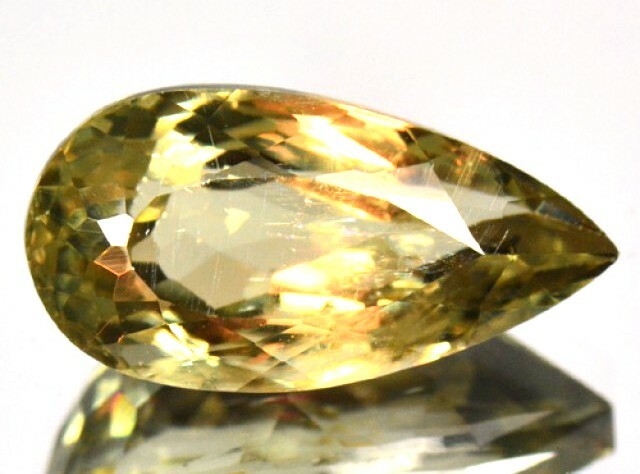 Chrysoberyl often occurs in tabular or prismatic crystals with distinct striations. It also occurs in twinned crystals with distinct star and rosette shapes. These crystals usually persist well and retain their shape during stream transport because of the mineral's exceptional hardness. This makes them easy to identify in gem gravels, but the twinning often interferes with their usefulness as gems. Cleavage 1,1 ; 3,2. Often exhibits parting along twinned crystals. Yellow-green chrysoberyl was referred to as "chrysolite" during the Victorian and Edwardian eras, which caused confusion since that name has also been used for the mineral olivine/peridot, that name is no longer used. Chrysoberyl is the stone of new beginnings. It brings compassion and forgiveness, generosity and confidence into your life. It aligns the Solar Plexus and Crown Chakras. It blends the mind and spirit together and opens the Crown Chakra which then increases both your spiritual and personal power. 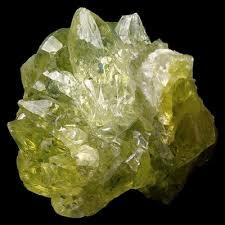 Chrysoberyl strengthens feelings of self worth and releases useless energy patterns. It will help you see both sides of a problem and help you analyse and come to a decision on the correct path. It encourages forgiveness for past sins that have been done to you or by you. 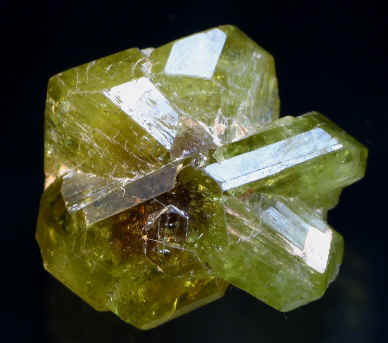 If chrysoberyl is used with other crystals it will highlight the cause of a disease. It supports self healing, balances the adrenals and cholesterol. It fortifies the chest and liver. As a beryllium mineral, chrysoberyl only forms under those conditions where large amounts of beryllium are present. This limits its abundance and geographic distribution. High concentrations of mobile beryllium most often occur on the margins of magma bodies during the final stages of their crystallization. Thus, chrysoberyl usually forms in pegmatites and in metamorphic rocks associated with pegmatites. These include mica schists and dolomitic marbles. Chrysoberyl is also found along with other gem minerals in placer deposits. 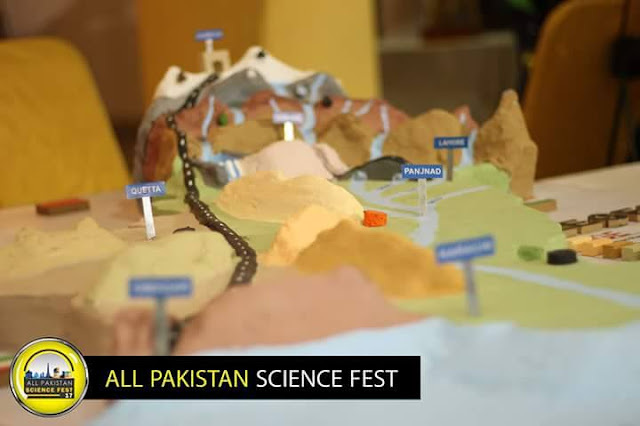 It is a hard, weathering-resistant mineral with a high specific gravity. 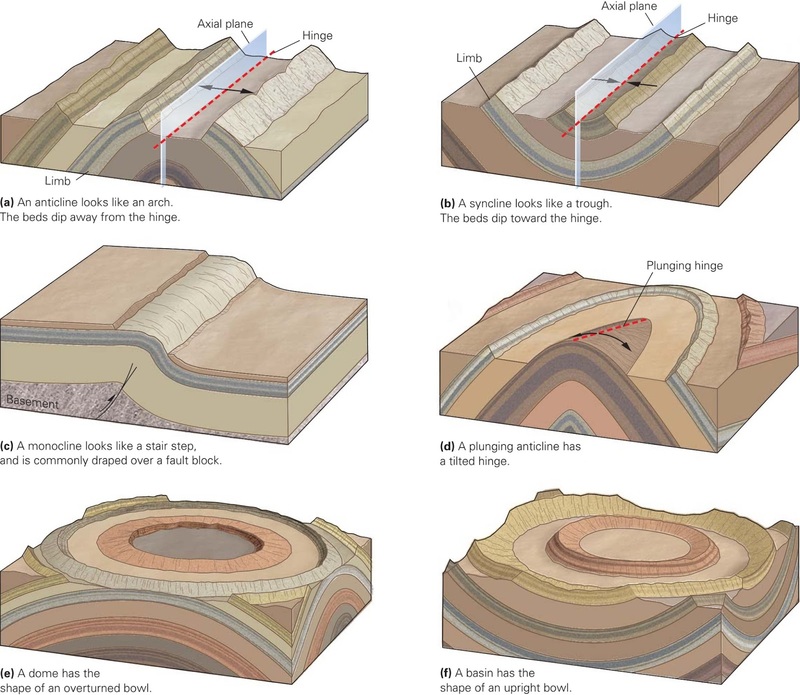 These properties allow it to survive in sediments after other minerals have been destroyed by abrasion and chemical weathering.